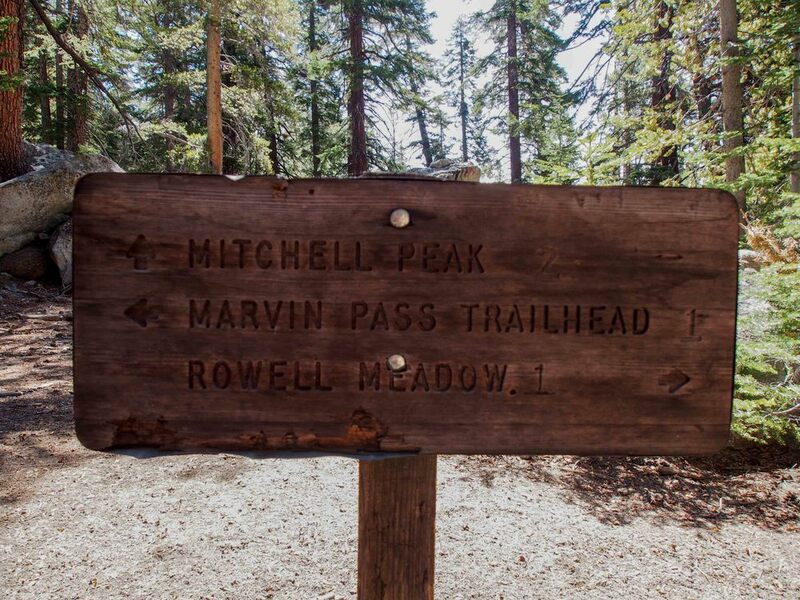 Mitchell peak has one of the best views of the Sierra, easily accessible by a short 3 mile dayhike. Although getting to the trailhead is a challenge in itself, and the hike to the top is steep, the 360 degree view from the top is well worth it! 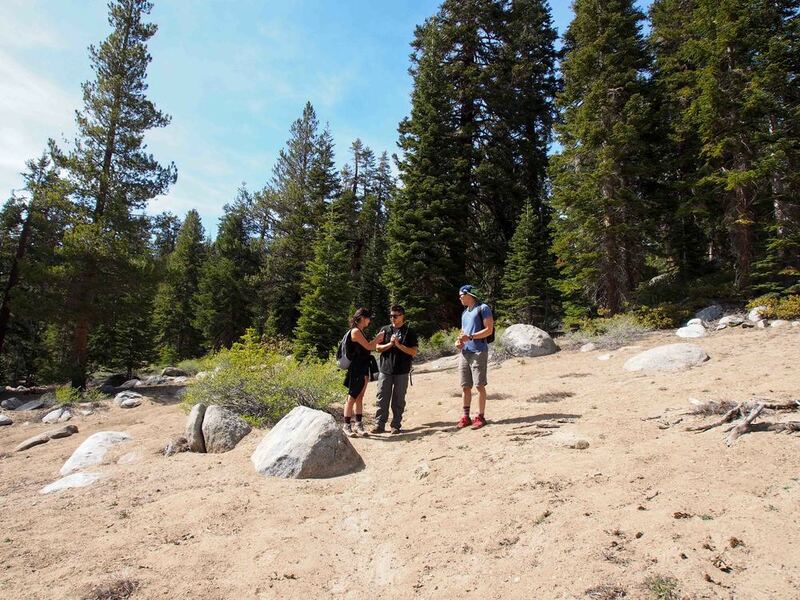 Since it was only May, and it was too early in the season for backpacking, we planned a weekend of camping at SEKI (Sequoia & Kings Canyon National Park). I have read lots of positive things about Mitchell Peak, and we decided a short dayhike up the peak was perfect for an early season hike. When we arrived Friday evening, we saw that Potwisha campground was full, so we headed up to Lodgepole Campground for $22 a night. We got to watch the sunset as we drove up the windy road up the side of the mountain, and of course we stopped for several viewpoints and markers. The next morning, we headed up to the Marvin Pass Trailhead. It was not marked on the map the park gave us, and we didn't see any signs for Marvin Pass until we actually arrived at the dirt lot. There were wrong several turnoffs that we drove onto for a little before realizing we were on the wrong road. When we reached a three way split, we took the right fork with a sharp dip onto a dirt road. The windy dirt road got bumpier and bumpier, and was narrow enough for us to be glad we didn't see a single other car. When we reached the lot, our car looked quite lonely parked in the empty lot. 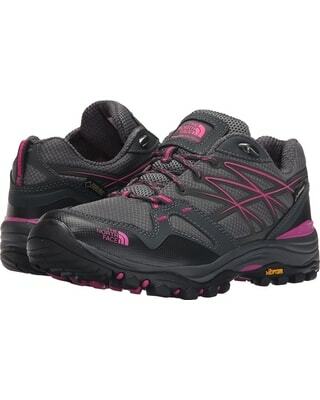 When we checked the register, it seemed the last time someone hiked was last November. We signed in and headed off. 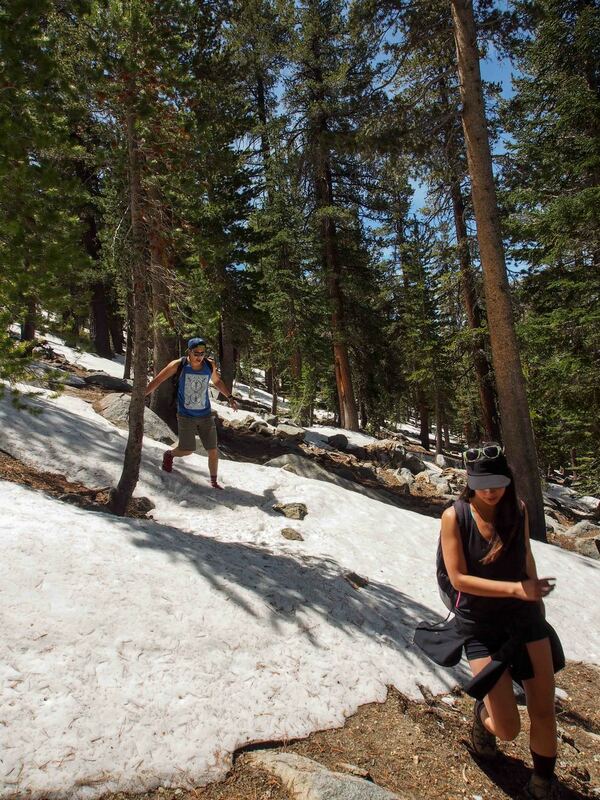 Within the first mile of the hike, we saw small patches of snow on the side of the trail. The weather was perfect for hiking, and the mosquitoes characteristic of this time of year were no where to be found. 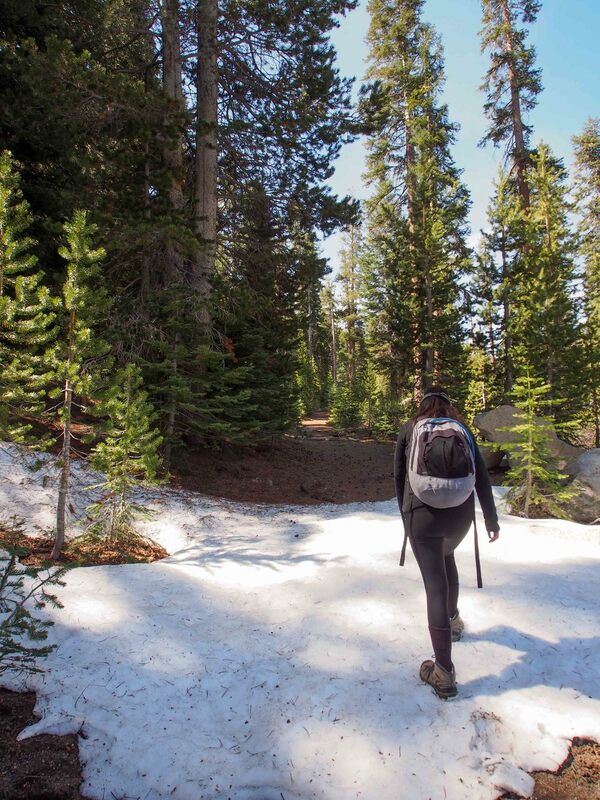 As we continued, the snow patches got larger and larger, and we had difficulty finding the trail under all the snow. At one point, the snow completely covered the ground and we just hiked up towards the peak. We found a dry ridge to the right of the peak and followed it up. 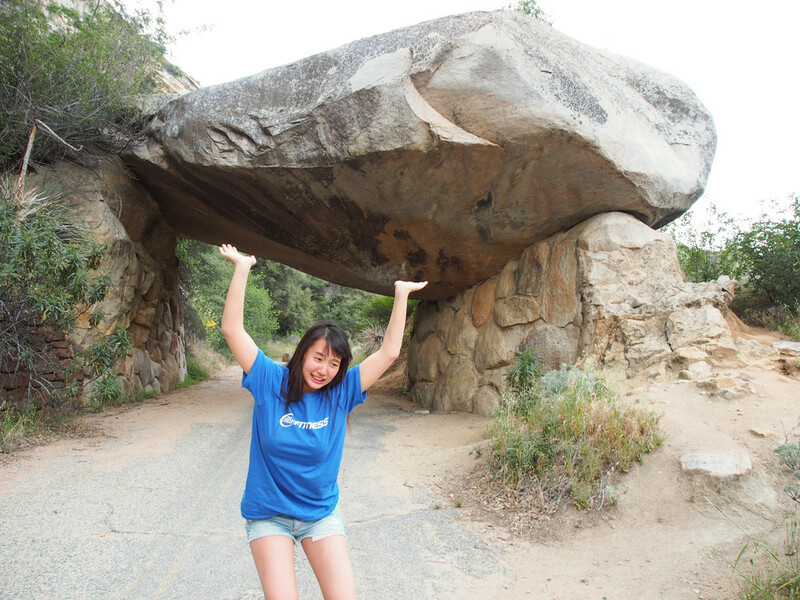 Be careful on these boulders, there isn't a single path to climb up or down them, you just have to pick your own way. Even with the traction on his hiking boots, Ed slipped on a rock and cut up his knee. Because of the snow, we had difficulty finding the trail on the hike down. We didn't want to miss the trail on the hike down, so we searched for about 20 minutes looking for footprints or any sign of the trail. Eventually we found the trail in between patches of snow. The rest of the hike back was downhill and quick. 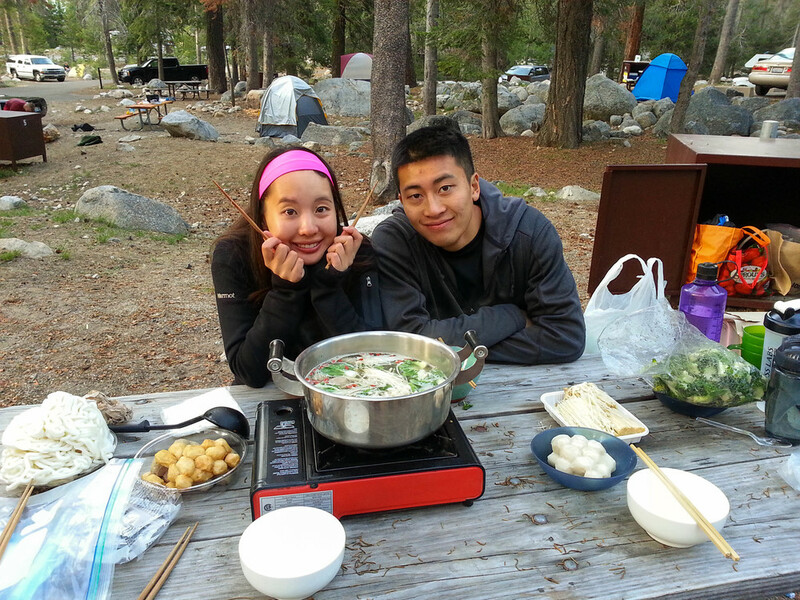 Once we got back to the car, we headed back to camp to enjoy a delicious hot pot meal, our new go to camping meal!